Play On: Indianapolis Colts -4. The Cincinnati Bengals have been one of the most overrated teams in the NFL all season. 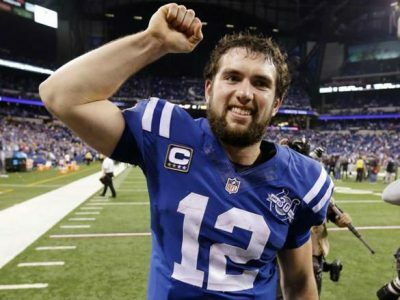 They continue getting too much respect from the oddsmakers this week as they take on an Indianapolis Colts team that has taken its game to the next level in 2014-15. I look for the Colts to win this one with some room to spare, just as they did in their first meeting back in October. Indeed, the Colts put a 27-0 beat down on the Bengals as 3-point home favorites in that game. This contest was every bit the blowout that the final score would indicate. The Colts outgained the Bengals 506-135 for the game, or by 371 total yards. Andrew Luck threw for 344 yards and two touchdowns without a pick in the win. Andy Dalton went just 18 of 38 passing for 126 yards in the loss. The Colts are legitimately an elite team this year after catching a bunch of breaks the last two seasons in close games. They rank 3rd in the NFL in yardage differential, outgaining teams by an average of 63.9 yards per game. Only the Broncos and Seahawks have been better in that department, so they’re obviously in some elite company. Their offense ranks 3rd in the league at 406.6 total yards per game to help boost that differential. Cincinnati, on the other hand, is nowhere near as good as its record when you look at its yardage differential. It ranks just 21st in the NFL in yardage differential, getting outgained by an average of 11.3 yards per game. Ten of the 12 teams that made the playoffs this year ranked 12th or better in yardage differential. Only the Bengals (21st) and Cardinals (27th) made the playoffs while ranking 13th or worse in yardage differential. The Cardinals are an overrated team, too. I just do not trust Andy Dalton in prime-time games. He now sits at 3-10 in his career in primetime games, which includes an 0-3 record in the playoffs. He had another loss against the Steelers last week in primetime as he threw a pair of costly interceptions in that contest. Now, Dalton will be without his best weapon in A.J. Green, who suffered a concussion in that loss to the Steelers and is listed as doubtful to play Sunday. Plays on favorites of 3.5 to 10 points (INDIANAPOLIS) – after a game where they committed no turnovers against opponent after a game where they committed three or more turnovers are 28-12 (70%) ATS over the last five seasons. Indianapolis is 9-1 ATS in its last 10 home games vs. poor passing defenses that give up 235 or more yards per game. The home team is 6-0 SU & 5-1 ATS in the last six meetings in this series. The Colts are 10-1 ATS in their last 11 home games vs. good passing teams with a completion percentage of 61% or better. Cincinnati is 2-10 ATS in its last 12 road games off a road loss to a division rival. The Bengals are 0-6 ATS in their last six road games after covering the spread in two of their last three games coming in. Indianapolis is 20-6-1 ATS in its last 27 home games overall. Cincinnati is 0-5 ATS in its last five playoff games. Bet the Colts Sunday. No. 2 Ranked Overall Handicapper from 2014! Jack Jones and his $1,000/game players profited $79,090 last year in all sports! After a tough start to 2015 that has seen 5 losses by a combined 6 points over the last two days, he is OUT FOR REVENGE on the books today! Crush your book with Jack’s Sunday 3-Play Power Pack for $49.95! Leading the charge is his 20* NBA No-Doubt Rout on the pro hardwood! You’ll also receive his 15* Pac-12 PLAY OF THE DAY in college hoops along with his 15* Lions/Cowboys No-Brainer on the pro gridiron! You are GUARANTEED PROFITS or Monday’s entire card is ON JACK!